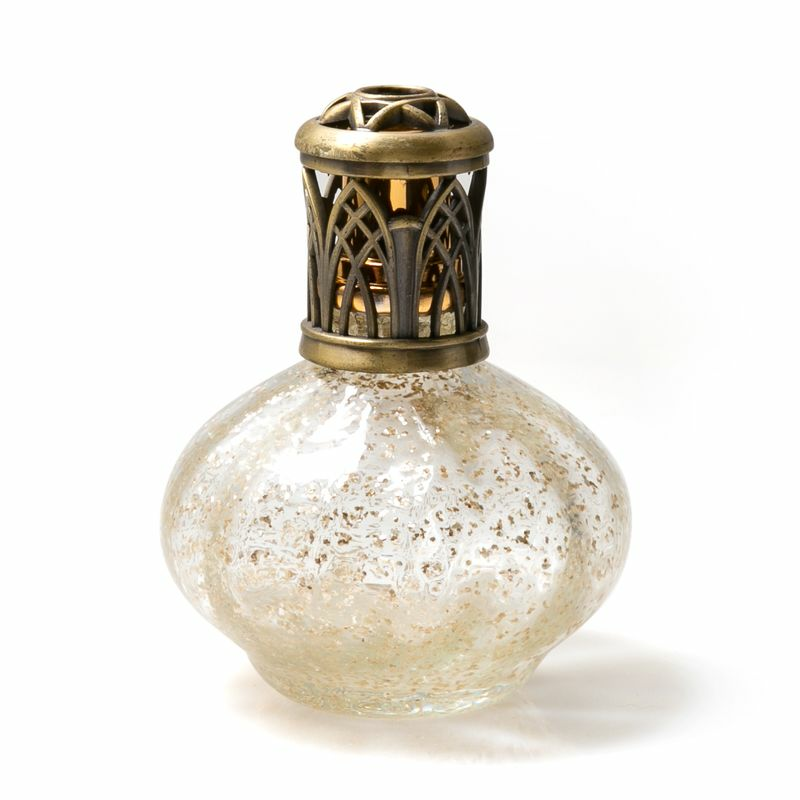 A clear opalescent lamp with gold flecks throughout the glass topped with an antique gold cathedral crown. 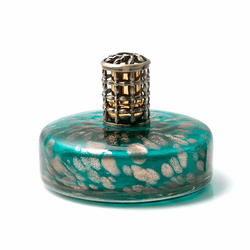 Each lamp includes a wick, funnel, decorative crown, and snuff cap, as well as a FREE 16 oz. 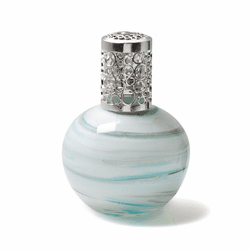 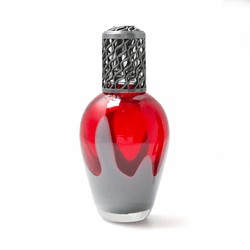 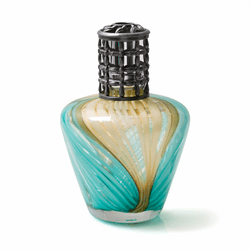 bottle of Scentimental Scents Fragrance Lamp Oil of your choice.